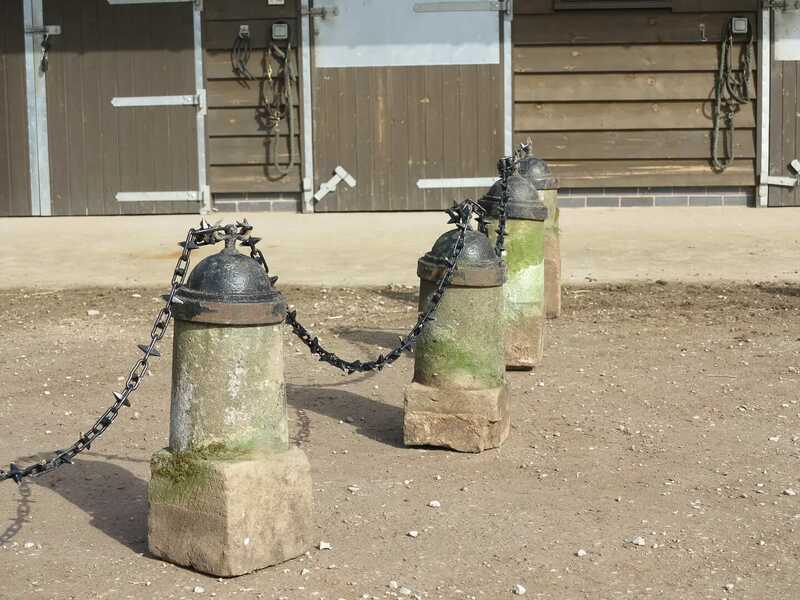 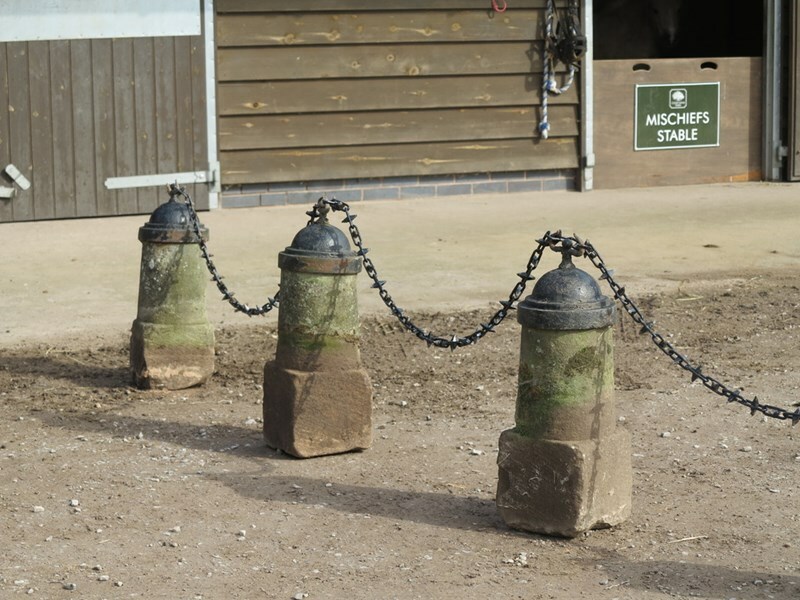 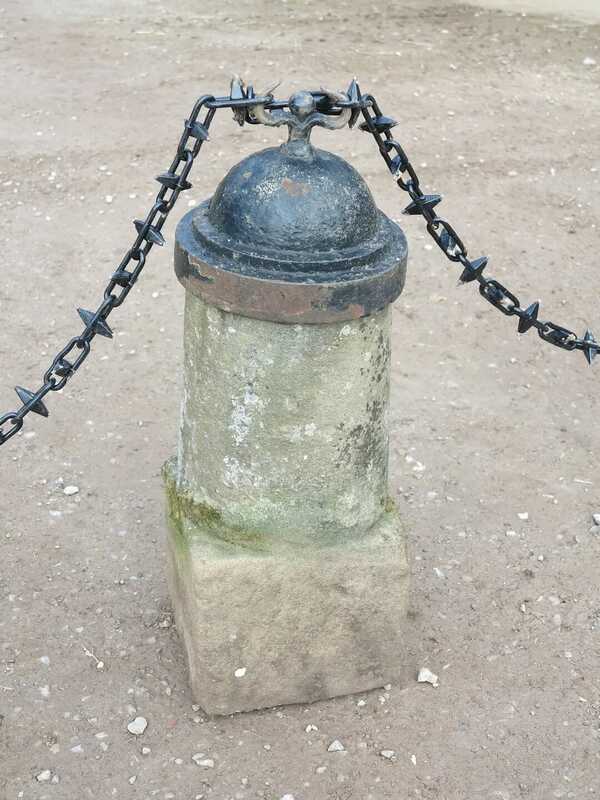 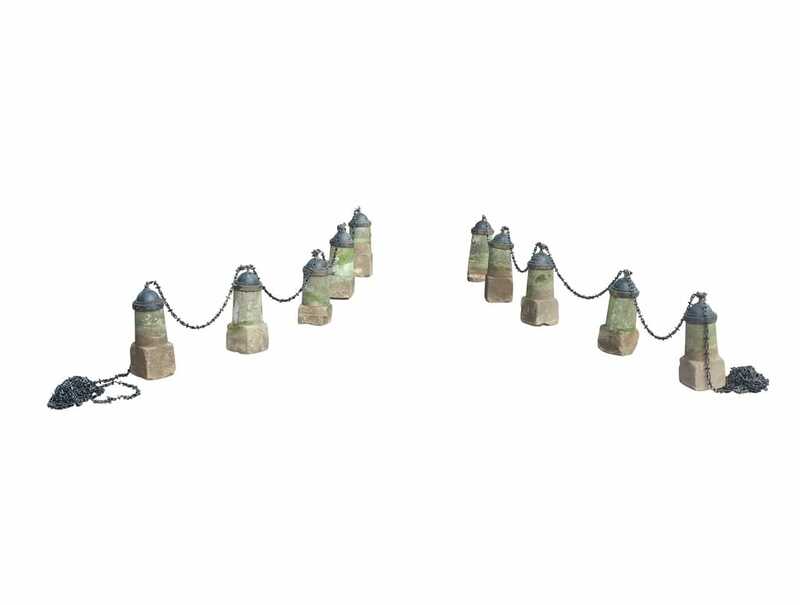 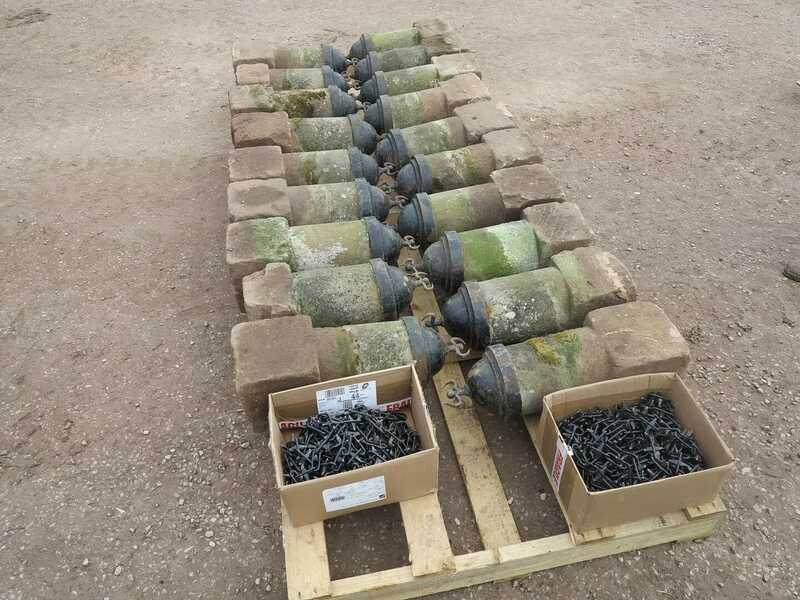 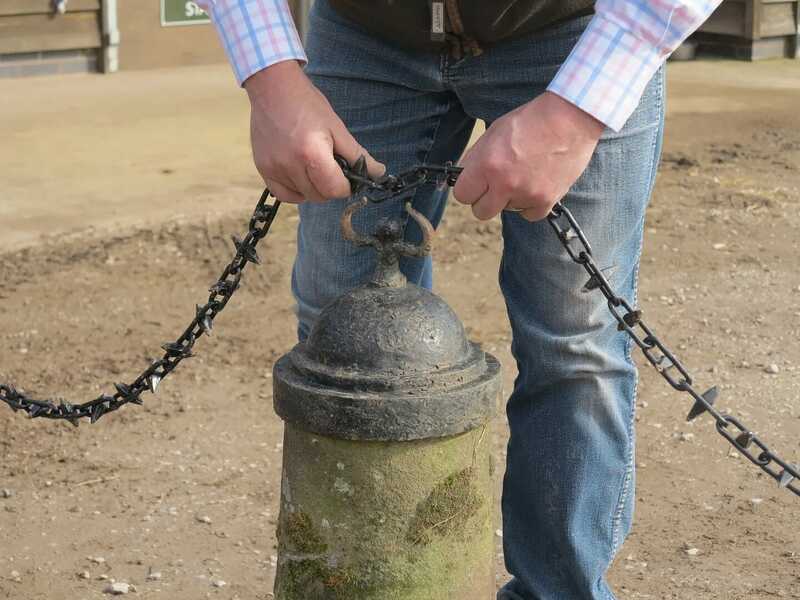 Very rare set of solid hand carved stone bollards with chains. 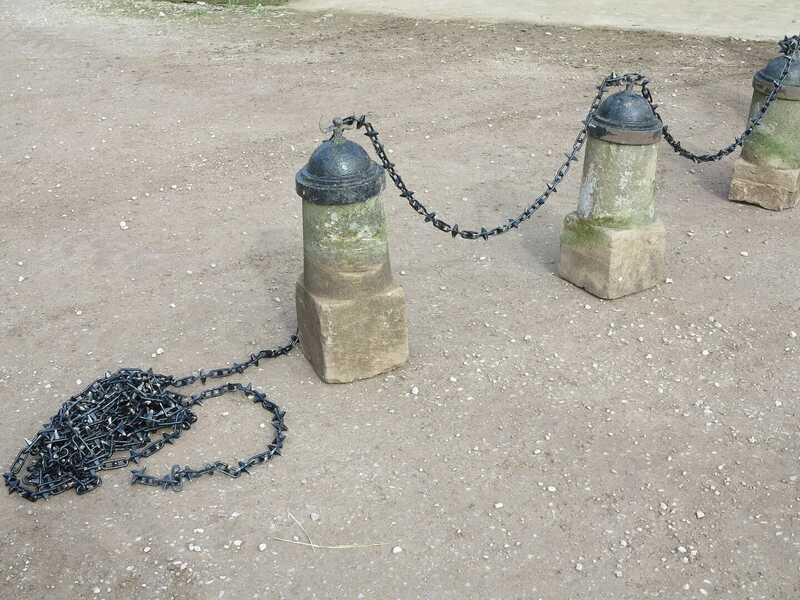 The chain is in two lengths of 19 metres. 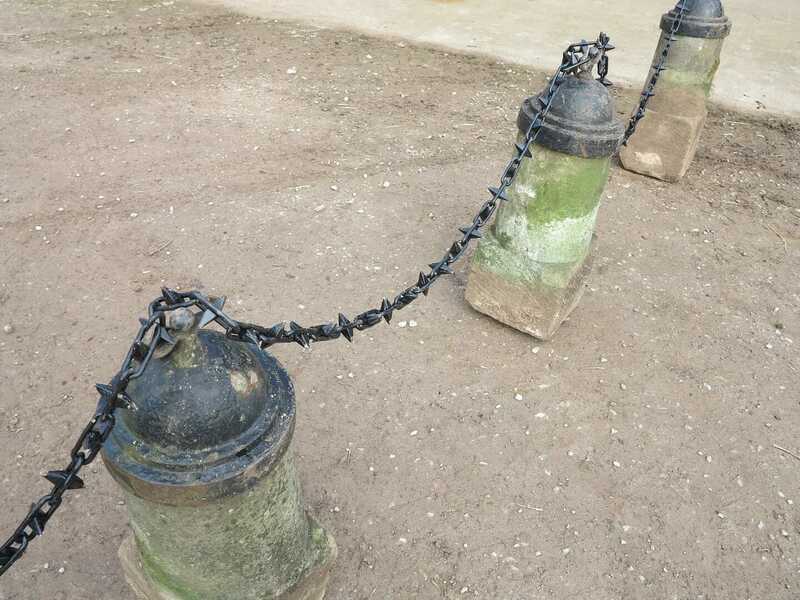 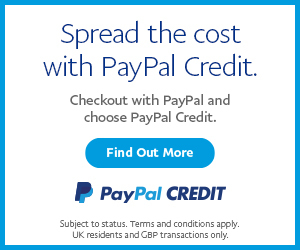 Can easily be cut once on site. 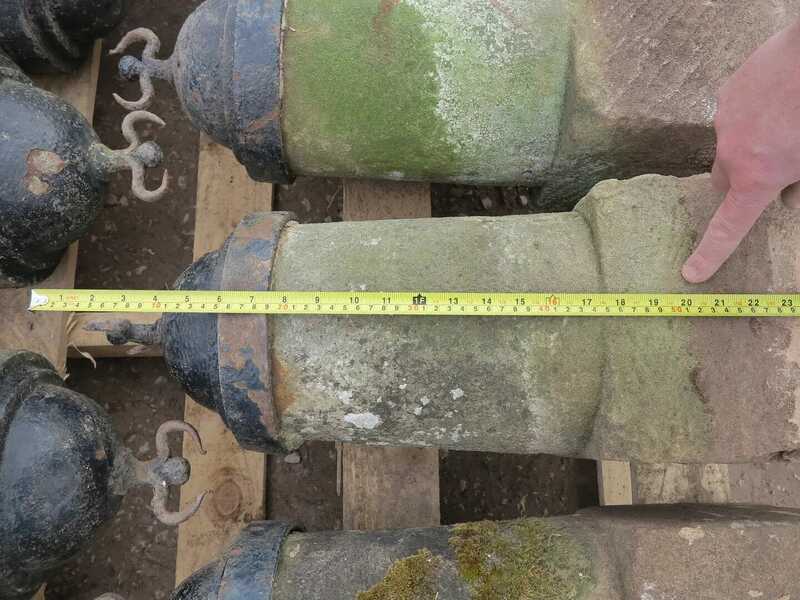 Original cast iron caps on top.